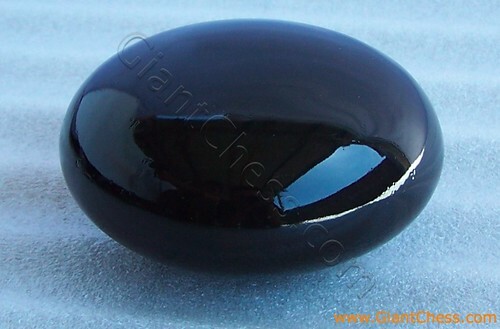 Wooden stone made of Teak wood and painted in black and glossy color. Kids and adolescent love to this kind of product because it is very useful and fun to play. Wooden stone piece have become very popular because they are easy to play. Kids can create their own games and this wooden stone can use both indoors and outdoors. This is very durable because it made of the strongest wood and finished well. You can also choose another color such as, natural wood, brown, white, or other. Kids love this adorable wooden stone piece that are so easy to hold and play. This wooden stone are crafted from high quality and dried Teak wood in Java island, so we can guarantee you that our product won't dissapoint you. This wood stone turnings can be used in a variety of activity or games for adults and kids.